Elizabeth Williams propelled herself into the field of Bioenergy Balancing when her then-eight-year-old son was diagnosed with Small Bowel Crohn’s Disease. He responded very well to the release of blockages through the meridians and chakra clearings that Bioenergy Balancing provided him. Bioenergy Balancing sessions also identified which homeopathic detoxes would be helpful for him to take and enabled his system to rebalance physiologically and nutritionally after the peak of his medical protocol subsided. Bioenergy Balancing offered him reprieve from this ominous, life-long label and relief from symptoms. At present, he has enjoyed medication-free “remission” and an unrestricted diet for over three years. Elizabeth is a dedicated, certified Bioenergy Balancing practitioner who wants to offer her clients, with symptoms ranging from the inconvenient to the acute, a forum for feeling physical and emotional relief. Even more importantly, Elizabeth believes that Bioenergy Balancing work can cultivate a sense of hope … something that she and her son desperately wanted to feel during the darkest times of his diagnosis… hope that he could feel like a “normal” kid, again; hope that the body could find its way back to a balanced state of wellness. Elizabeth’s professional background and communication skills complement her Bioenergy Balancing work. As a mediator in the “legal world,” Elizabeth has provided litigants with an alternative to trial by helping them to negotiate settlement agreements. In the world of Bioenergy Balancing, Elizabeth facilitates conversations with the clients’ bodies and provides a communication bridge between the medical world and health care alternatives. Her goal is to support the client’s choices. If prescriptions and medical protocols work for a client, she works to support the client’s body nutritionally and energetically so that it may feel its best through that established protocol. If homeopathic and energetic alternatives are the client’s preference, she honors that choice, as well. By experiencing a Bioenergy Balancing session, a client may learn information about the body that could form questions to present to the treatment providers. 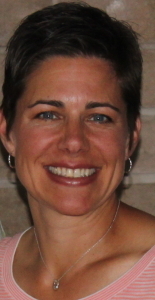 Elizabeth enjoys providing clients with a wellness alternative that provides healing results.